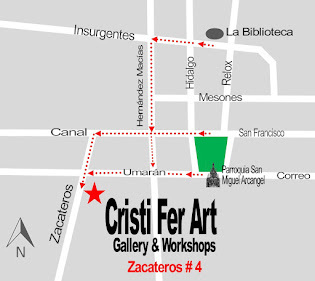 Cristi Fer Art Gallery and Workshops, in San Miguel de Allende, Mexico: Sketchbook Jump-start in Mexico, an art vacation on a shoestring. Sketchbook Jump-start in Mexico, an art vacation on a shoestring. 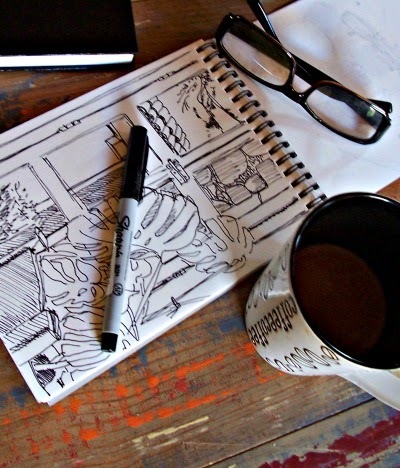 Would you like to capture the moment in your sketchbook, during a vacation or an ordinary day? 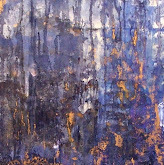 It will enhance your travel experience; give you confidence and inspiration as an artist. As a child did you use to make fast sketches with no concern or self judgment? Just for fun! Have you promised yourself for years, that some day you'll make time for art in your life? Are you a painter who never took an art or drawing classes? 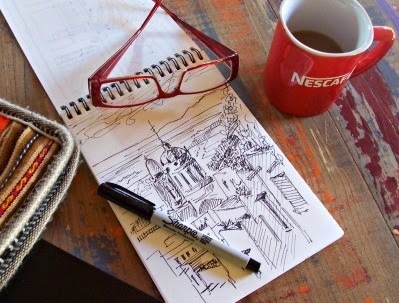 Do you wander if drawing/sketching would bring a new dimension to your art? Did you use to draw but got so involved with the technology that the computer offers that you lost touch with the joy of sketching with a pen or pencil? that it's no excuse not to say YES! 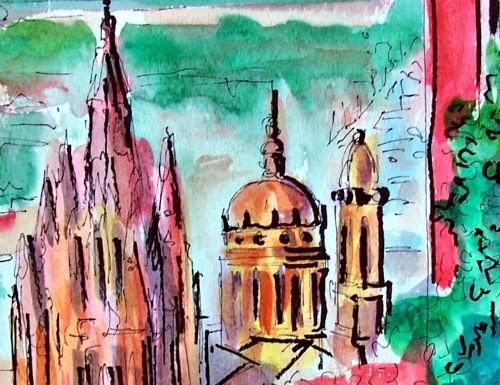 With experience guidance from me Cristiana and from Fernando Gonzalez, both painters teaching from 1989, learn the art of “seeing” and transport the world around you into a quick sketch. If you are an artist at heart, took classes here and there, always wanted to gain confidence in drawing or you’re an abstract or plein air painter, join us. Bring a sketch book and we’ll explore the magical cobblestone streets, markets and hidden jewels of San Miguel de Allende, the Heart of Mexico. You’ll develop the habit, confidence and courage to continue on your own while having a fantastic vacation. Check the tab called Sketchbook Jump-start for the schedule and contact us ASAP to register.